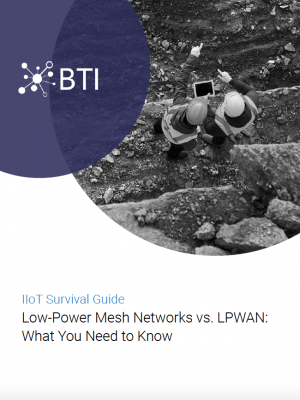 Low-power mesh networks based on the IEEE 802.15.4 standard and low power wide area networks (LPWANs) arise as the two leading options for IIoT edge connectivity. While both are designed to cater to low-throughput IIoT applications, the two approaches vary greatly in network criteria. By understanding their major differences, system designers can decide which wireless option is a better match for their architecture and use cases.